The first study was conducted in 1996 in 10 (i.e. all) nurseries and 11 randomly selected preschools in Szczecin. The study involved 526 children (257 boys and 269 girls) aged 1-4 years, and 865 children from preschools (448 boys and 417 girls) aged 4-7 years. In 2006, the study was repeated in seven nurseries (i.e. all nurseries that existed in Szczecin at the time) and 11 preschools in the city of Szczecin, i.e. the same as in 1996. The study involved 314 children attending nurseries: 169 boys and 145 girls aged 1.5-4 and 887 preschool children (461 boys and 426 girls) aged 4-6 years. Motor development of nursery children was assessed based on the Denver test in two selected areas. The level of motor development in preschool children was assessed on the basis of a modified Wrocław Physical Fitness Test developed by B. Sekita. Comparison of the results helped answer the question whether and what developmental changes took place over a decade. The results indicated that the level of motor development of children in Szczecin, compared with children examined 10 years earlier, showed no significant differences. 1. Aadahla M., Hansen B.A., Kirkegaard P., Groenvold M. Fatigue and physical function after orthotropic liver transplantation. Liver. 2002;( 8):251-259. 2. 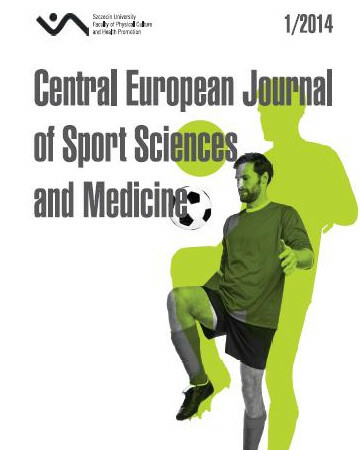 Abu - Omar K., Rutten A., Lehinen V. Mental health and physical activity in the European Union. Sozial und Praventivmedizin. 2004;(49):301-309. 3. Abu- Omar K., Rutten A., Robine J.M. Self-related health and physical activity in the European Union. Sozial und Praventivmedizin. 2004;(49):235-242. 4. Arska-Kotlińska M., Bartz J. Selected statistical issues for students of physical education. Poznań 1993. 5. Astrand P.O. Why exercise? Medicina Sportiva. 2000; (4) : 83-100. 6. Biernat E., Stupnicki R. Wychowanie Fizyczne i Sport. 2005; 49,(2): 61-73. 7. Bouchard C., Shephard R.J., Stephens T. Physical activity, fitness and health. Human Kinetics. Champaign, IL 1994. 8. Bownik H., Saab S. Health-related quality of life after liver transplantation for adult recipients. Liver Transplantation. 2009;(15): 42-49. 9. Bucher C.A., Thaxton N.A. Physical Education and Sport. Change and Challenge. The C.V. Mosby Company. St. Louis 1981. 10. Bulzacka M. Quality and organization of the care of the patients after organ transplations. Problemy Pielęgniarstwa. 2008; 16 (1,2):54-59. 12. Cieślik J., Kaczmarek M., Kaliszewska-Drozdowska M.D. Children in Poznań in 1990. Bogucki Wydawnictwo Naukowe. Poznań 1994. 13. Gniewkowska H. Motor development of preschool children. Wychowanie Fizyczne i Sport. 1965;( 9): 2-14. 14. Gross C.R. Quality of Life and After Liver Transplantation for Cholestatic Liver Disease. Hepatology. 1999; (29): 356-364. 15. Hurlock E.B. Child’s development. PWN. Warszawa 1985. 16. Ignasiak Z., Wolski P., Zaleski A. Physical fitness of children living in rural areas. Studia i Monografie AWF. Wrocław 1993. 17. Kołłątaj W., Sygit K., Sygit M., Karwat I.D., Kołłataj B. Eating habits of children and adolescents from rural regions depending on gender, education, and economic status of parents. Annals of Agricultural and Environmental Medicine. 2011;(18):293-397. 18. Kotarska K, Drohomirecka A. Biosocial conditions of motor development of children from nurseries and preschools in Szczecin and Stargard Szczeciński. University of Szczecin. Rozprawy i Studia. 2004, (DCIV) 530. 19. Kotarska K., Drohomirecka A. Conditions and the level of physical fitness of preschool children from Szczecin and Stargard Szczeciński over ten years. Wydawnictwo Naukowe US. 2010. 20. Mleczko E., Ozimek M. Somatic and moto development of youth in Kraków between 15 and 19 years of age, allowing for environmental factors. Studia i Monografie. AWF. Kraków 2000. 21. Mleczko E. Functional development of Kraków children aged from 7 to 14 years. Wydawnictwo Monograficzne. Kraków 1991. 22. Nowacka – Dobosz S. Urbanization differences in the somatic and motor development of youth. Wychowanie Fizyczne i Sport. 2006;(1): 37-44. 23. Osiński W. Manifold connections between the motor abilities and morphological parameters. Research on children and youth from large cities, allowing for social stratification. Monographs. AWF. Poznań 1988. 24. Półtorak W. Somatic and motor development of adolescents in a small town and village. Antropomotoryka. 2004; (27) :51-63. 25. Przewęda R. Conditions of physical fitness of Polish youth. AWF. Warszawa 1985. 26. Przewęda R. Somatic and motor development. WSiP. Warszawa 1981. 27. Raczek J. (ed.). Motor abilities of children and youth. AWF. Katowice 1986. 28. Schmidt R.A. Motor Contro land Learming. A Behavioral Emphasis. Human Kinetics Publishers. Inc. Champaign. Illinois 1988. 29. Sekita B. Research on physical fitness of children in Wrocław aged 3.5 - 5 years. Scientific papers. AWF. Wrocław 1977. 30. Sekita B. Somatic development and physical fitness of children aged 3-7 years. Development of fitness and endurance of children and youth. (z Warsztatów Badawczych) AWF. Warszawa 1988: 12-55. 31. Ślenzak J, Michałowicz R. Psycho-motor development of a child until 6 years of age. PZWL. Warszawa 1975. 32. Starosta W. New ways of stimulating motor activities of children and youth. Kultura Fizyczna. 1993;(3-4):12-15. 33. Sygit K., Kołłątaj W., Wojtyła A., Sygit M., Bojar I., Owoc A. Engagement in risky behaviours by 15-19 –year olds from Polish urban and rural areas. Annals of Agricultural and Environmental Medicine. 2011;18; 404-409. 34. Szczotka F. Elementary statistical methods and their application in physical education. Warszawa 1983. 35. Szopa J. Genetic and environmental conditions of the somatic development of children between 7 and 14 years of age: longtidunal results of research on families. Wydawnictwo Monograficzne. AWF. Kraków 1990. 36. Szopa J., Żak S. Differences in the relative level of physical fitness of Kraków girls and boys aged 8-18 years, depending on the selected social and family factors. Wychowanie Fizyczne i Sport. 1986;(1-2) :75-80.